Wattozz Wireless Energy Weapon, which production was completed, became a competitor to the conducted electrical weapon ‘Taser’ used by more than one million police officers in 117 countries around the world. The first photos of the new wireless weapon, which has superior features compared to the US competitor, were served to the press, today. With Wattozz Sida (Armed Unmanned Naval Vehicle) the domestic company caught the attention of the whole world is now getting ready for the world launch of the remote effective wireless electric weapon Wattozz, which production was recently completed. The US-origin Taser stun gun is used in many countries around the world and is being debated in recent years, as it causes severe injuries. In the reports of the Amnesty International dozens of cases of injuries caused by Taser are stated. In contrast to the gun, the wireless electrical weapon Wattozz made in Turkey was developed wireless and is attracting the attention with superior features. Albayrak stated that the production of defence technologies and weapons projects are continuing rapidly and that after the preparation for the mass production of the Wattozz Energy Weapon and after the launch, distributorships all over the world will be given. Human voice warning system is available in different languages. According to the statement made by the company, the Wattozz Gun will be sold to a reasonable price, compared to the competitor, and with free of charge training and full warranty support. 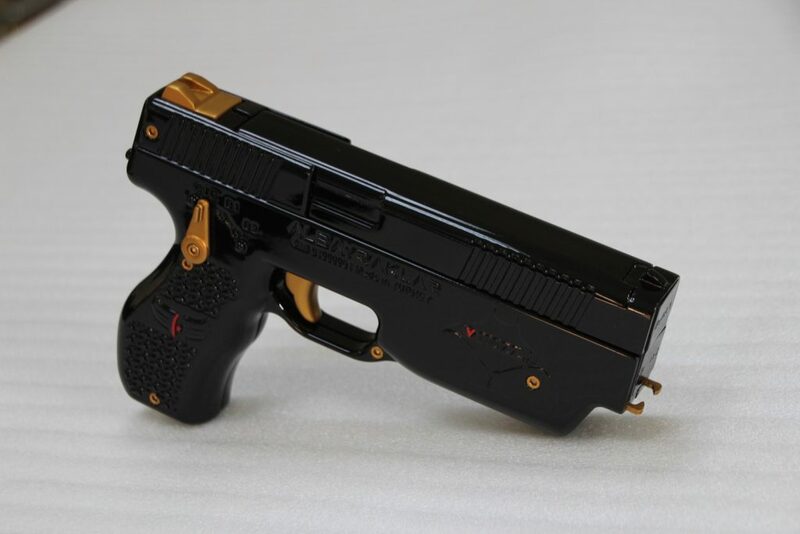 The weapon attracts attention with features like wireless bullet and two-shot, built-in camera with anti-vibration system, remote bullet/electric control with radio frequency, firing system without gunpowder / without gas, high trigger sensitivity, point shot high hit feature, silent firing, human voice warning system, built-in targeting laser, built-in night light, data-port data information system, direct contact mode, ergonomic handle, long battery life and illuminated warning indicator.